Every day, the news out of Japan becomes more tragic. Juliette and I both lived and worked in Japan and we have many friends there, so this disaster is particularly close to our hearts. Our thoughts are with all of our friends in Japan and we hope that their families and loved ones are safe. Thoughts and wishes are not enough though, so I encourage you to join us in supporting the relief efforts. 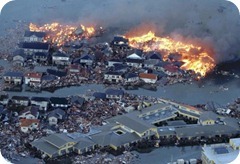 Even a small donation to the Red Cross or other organizations can help alleviate the suffering. The extent of the damage and the suffering is hard to imagine. The New York Times just released a series of before and after photos that drive the amount of destruction home. I encourage you to take a look and try to imagine if they were your neighbours.